We are a leading Manufacturer & Supplier of Stone 3D Mosaic such as Copper Slate 3D Mosaic Tiles, Etagold 3D Mosaic Tiles, Greren Slate 3D Mosaic Tiles, Grey 3D Mosaic Tiles, Rainbow Stone 3D Mosaic Tiles, Silver Shine Slate 3D Mosaic Tiles and many more items from India. Natural Stone 3D Mosaic Tiles are crafted with using high end technology to give 3D look to the natural stones. Natural stone 3D Mosaic Tiles gives 3D effect on wall and generally it is used for internal wall cladding but it could be use for external wall cladding as an option. We also provide the installation facility for the Stone 3D Mosaic tiles supplied by us. Black Slate 3D Wall Mosaic Tiles made of midnight black slate stone gives very beautiful look for both interior and exterior wall cladding''s because of its natural black color with shining. Black Mosaic Tiles has 3D look. It is highly demanded for architectural works. 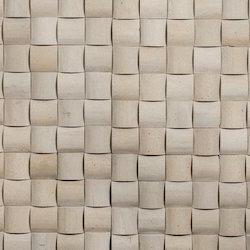 Stone Wall Coverings Tiles, Stone Cladding Tiles, Exterior and Interior Wall Tiles, Decorative Wall Tile. Rainbow Sandstone 3D Mosaic Tiles are very beautiful by their color and finishes. These 3D mosaic tiles can be use for renovating and installing on indoor and outdoor wall. These mosaic can be made as square shape, round shape rectangle shape. These tiles are substitute for costly 3D painting on wall of homes and buildings. We also provide the installation facility for the Stone 3D Mosaic tiles supplied by us. We are leading Manufacturer, Exporter and Wholesaler of Copper Slate 3D Mosaic Tiles. Copper slate 3D mosaic tiles are available in various finishes. Our Stone Mosaics Collection is gorgeous and demands to be admired. These designs would look wonderful in every room, on any wall. We also provide the installation facility for the Stone 3D Mosaic tiles supplied by us. We are engaged in bringing forth an attractive collection of Grey 3D Mosaic Tiles. The offered mosaic is precisely processed using the best quality raw material and innovative technology. Our provided mosaic is strictly examined by our quality controllers against varied parameters so as to ensure its quality. Apart from this, provided mosaic is available in different sizes, shapes and specifications. We also provide the installation facility for the Stone 3D Mosaic tiles supplied by us. Umbra Grey 3D Mosaic Tiles are offered by us in different color options as well as exhibit both classical as well as modern finish styles that are well liked by our look conscious customers. These mosaics are designs by us are with the premium quality of raw material. These stones are available in different varieties of attractive colors and patterns. These are supplied at high usage as boards in kitchens as well as bathrooms. These tiles can be offered by us in polished finish also. 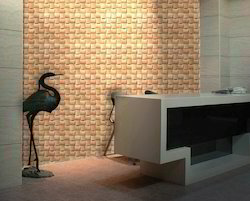 Application areas of 3D mosaic tiles is interior wall cladding. We also provide the installation facility for the Stone 3D Mosaic tiles supplied by us. We are leading manufacturer and supplier of White Marble 3D Mosaic Tiles crafted from best quality makrana marble with 3D Moulding and shotblasted finish. Application areas for white marble 3D mosaic tiles are interior wall covering, indoor wall cladding as well as exterior wall cladding. We also provide the installation facility for the Stone 3D Mosaic tiles supplied by us. With the efficiency of skilled workers and usage of updated machinery we produced the new product for interior as well as exterior wall. 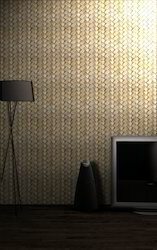 This 3D Mosaic gives very attractive look on walls. This product will fulfill the needs of Interior designers and Architect for interior wall. Being a highly effective, lean and fast-moving organization, we are highly instrumental in providing an extensive array of Green Slate 3D Mosaic Tiles. Ideal for bathroom on the walls and floor, this mosaic is highly appreciated for its dimensional accuracy, elegant designs and smooth fine. The offered mosaic is precisely processed with utmost care by using the finest quality raw material and modern technology. Moreover, this mosaic is available in variegated sizes, colors and patterns. We also provide the installation facility for the Stone 3D Mosaic tiles supplied by us. 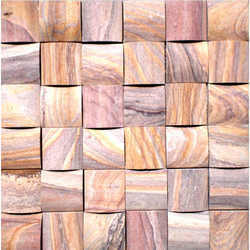 We are leading manufacturer and supplier of Woodstone 3D Mosaic. 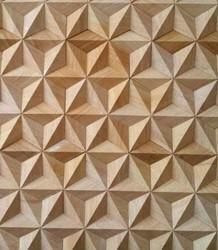 Woodstone 3D mosaic are extraordinary in its looking. 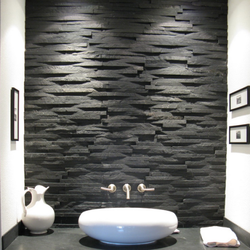 A bold and subtle variation of depth in individual stone pieces creates dramatic and stunning 3D effect on wall. Application areas for 3D mosaic tiles are Boundary wall, Garden wall, Porch wall, front elevation and outdoor wall.We also provide the installation facility for the Stone 3D Mosaic tiles supplied by us. Within a short span of a year, we have established ourselves as the leading manufacturer, trader, wholesaler and supplier of Etagold 3D Mosaic Tiles. With support of our experienced professionals, this mosaic is processed using the best quality raw material and ultra-modern technology. Our provided mosaic is available in different designs, styles and colors to meet the needs of our valuable clients. Our offered mosaic is rigorously checked against different parameters so as to ensure the quality at client's end. We also provide the installation facility for the Stone 3D Mosaic tiles supplied by us. 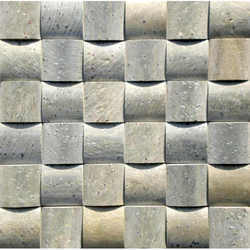 We are leading manufacturer and supplier of natural stone Moulding 3D Mosaic Tiles from Rajasthan. 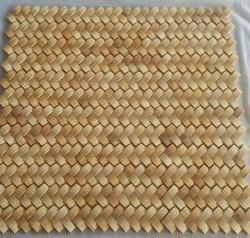 We supply moulding 3D mosaic Tiles at wholesale prices. This mosaic is highly demanded for home wall cladding. 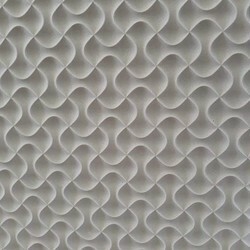 These moulding 3D mosaic tiles could be use for interior as well as exterior wall cladding. We also provide the installation facility for the Stone 3D Mosaic tiles supplied by us. 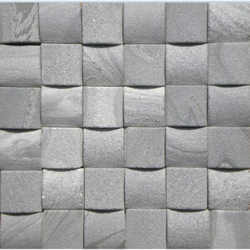 We are manufacturer and supplier of Silver Shine Slate 3D Mosaic Tiles. 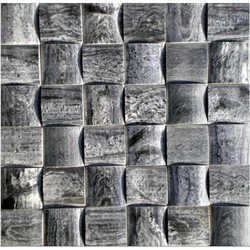 These Silver slate 3D mosaic tiles is very carefully carved in 3D shape.The polish on its surface admirable. The curved shape of stone adds 3D effect playing with light and shadow. These have all the power to transform any wall you can imagine. If you are looking for some exceptional to decore your home then you are at very right place and time. We also provide the installation facility for the Stone 3D Mosaic tiles supplied by us. 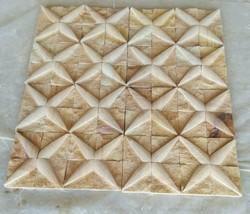 We are leading manufacturer and supplier of natural Stone 3D Mosaic Tiles. Natural stone 3D mosaic tiles are crafted with using high end technology to give 3D look to the natural stones. These natural stone mosaic tiles could be use for interior as well as exterior wall cladding. We also provide the installation facility for the Stone 3D Mosaic tiles supplied by us. Stone 3D Mosaic Tiles are offered by us in different color options as well as exhibit both classical as well as modern finish styles that are well liked by our look conscious customers. These mosaics are designs by us are with the premium quality of raw material. These stones are available in different varieties of attractive colors and patterns. These are supplied at high usage as boards in kitchens as well as bathrooms. These tiles can be offered by us in polished finish also. We also provide the installation facility for the Stone 3D Mosaic tiles supplied by us. 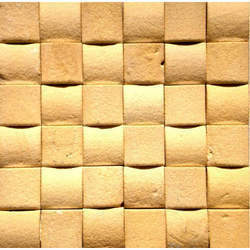 We are manufacturer and supplier of Yellow Stone 3D Mosaic Tiles. These 3D mosaic tiles are available with sandstones, marble, slatestone, and in other natural stones. 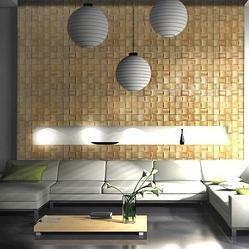 Yellow stone 3D mosaic tiles is a great way to enhance the beauty of interior as well as exterior wall. The curved shape of stone gives very attractive look at guestroom,drawing room, bedroom walls. The polished mosaic tile is constructed from durable stones with unglazed finish. We also provide the installation facility for the Stone 3D Mosaic tiles supplied by us. 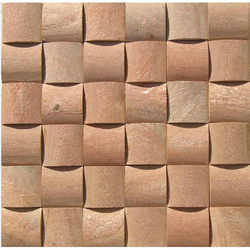 We are leading manufacturer, exporter and supplier of Natural Stone 3D Mosaic Tiles from Rajasthan, India. We crafted these natural stone 3D Mosaic tiles with high end imported machinery for perfecion in size and well finish.These exclusive natural stone 3D mosaic tiles could be use for internal wall of Luxury hotels, hospitals and villas. We also provide the installation facility for the Stone 3D Mosaic tiles supplied by us. Mosaic Art Tiles are offered by us in different color options as well as exhibit both classical as well as modern finish styles that are well liked by our look conscious customers. These mosaics are designs by us are with the premium quality of raw material. These stones are available in different varieties of attractive colors and patterns. These are supplied at high usage as boards in kitchens as well as bathrooms. These tiles can be offered by us in polished finish also. We also provide the installation facility for the Stone 3D Mosaic tiles supplied by us.